Singer Kenny “Babyface” Edmonds and his band brought the smooth sounds of R&B to life at State Theatre N ew Jersey, July 8th. Prior to the start of the show, his accomplishments as an R&B artist were displayed via a projector screen which served as a backdrop for the entire show. This Grammy Award-winner also has awards from Soul Train, American Music, and the NAACP. This year marks his 40th year on the American music scene; it all began in 1976. 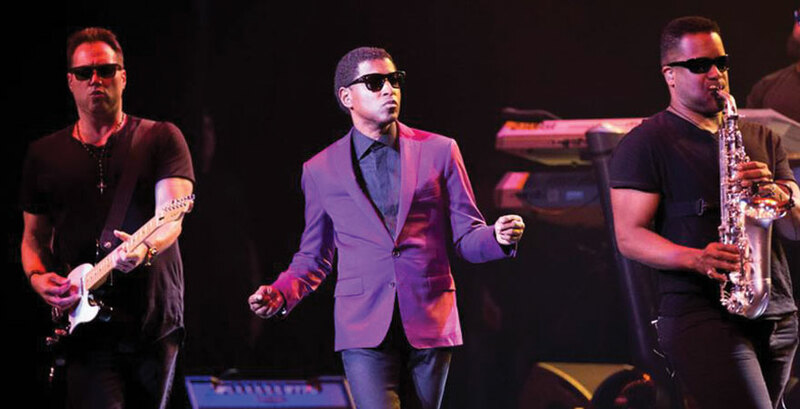 Return of the Tender Lover is his most recent album and its title is apropos; Babyface is all about romance and love. With the announcement that every song of the night was dedicated to all the women in the audience, he made us all happy, especially his longtime fans—they went crazy. With a jam packed theater, it seemed everyone was ready for a night of good music. A woman sitting next to me said she loved him, he was such a great singer; it seemed the rest of the audience felt the same way. I don’t listen to R&B, but I did know the song “Rock Steady”, most likely because it crossed over into mainstream radio at some point in the 80s. The night included hits such as “Never Keeping Secrets,” “We Belong Together,” “Whip Appeal,” and “Every Time I Close my Eyes.” For the beautiful song “Exceptional,” he talked about unconditional love and everyone was dancing. He gushes about love and isn’t that what we all need? He told the story of how he wrote his first love song at the age of 11 for a girl, and after that, he knew he wanted to be a singer. With shouts of joy and screaming fans singing along, it wasn’t until he ran up the aisles hugging several women that I knew what a special guy he is; I’ve never seen a performer show such affection for his fans. He has collaborated with many musicians including Whitney Houston, Toni Braxton, and Boyz II Men, among others. His band members were ecstatic to be playing as they bopped around the stage, enjoying the lively atmosphere, making beautiful music together. As they played different songs, the title and year were displayed on the projector screen. Originally from Indianapolis, the state of Indiana honored him in 1999 when they renamed a 25-mile stretch of Interstate 65 that runs through Indianapolis Kenneth "Babyface" Edmonds Highway, a testament to his iconic talent. I am always delighted when I discover a singer; it’s like unearthing a treasure. 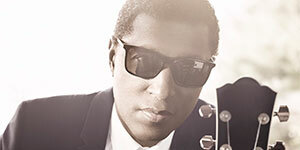 Babyface’s fans are loyal, listening to him for years, with fresh enthusiasm. For part of the encore, he played guitar and sang “When Can I see you Again.” The audience’s love for him ensures that they will see him again in concert and continue to listen to his music. By Elizabeth Millar. Photos by Jeff Auger.